Disclaimer: I am the director of a childcare provider, Future Stars Early Learning Centres. However, this post was put together without bias as an attempt to summarise the current literature. Also, To keep this article shorter than the others I decided to delve into an abundance of literature about cognitive development. Just to clarify, cognitive development involves thought processes including memory, problem-solving and decision making (often used interchangeably with “intelligence”). So how does childcare foster a child’s cognitive development? If we look the lens of the prominent psychological theories, it will make sense that children are benefiting from attending an ECEC setting. The first point to consider is the importance of social relationships among young children in a child's cognitive development. Vygotsky’s sociocultural theory says that children develop best through social interactions whether it be with their peers or their educators. There is an abundance of research that supports collaborative learning environments as being beneficial for children’s cognitive development. Imagine this as an example. A child is trying to solve a puzzle that is harder than anything they have done in the past. A child who already knows this puzzle walks over and says “Johnny, do the corner first”. Johnny manages to put the corners in place and then gets stuck again. The other child comes over and says “now you have to do the edges”. Johnny fits the edge pieces in place and sees that puzzle pattern coming together. He manages to complete the centre of the puzzle independently. 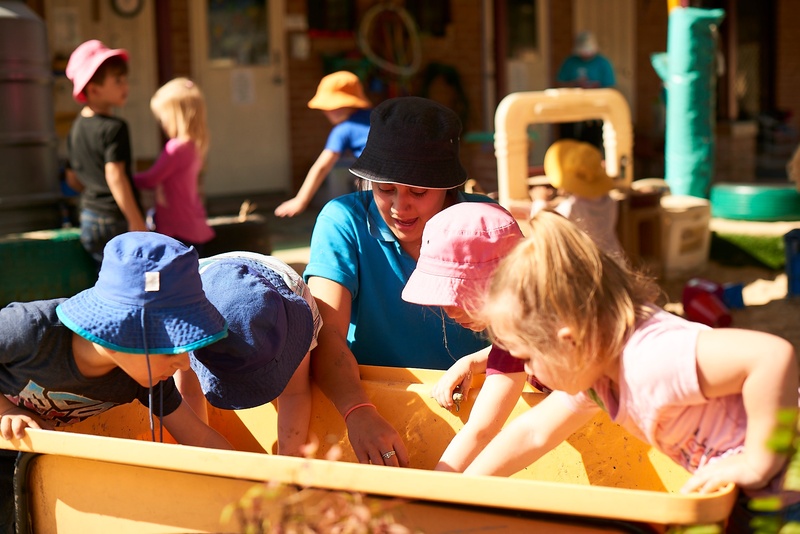 These social learning relationships are part and parcel of a child's experience in an ECEC setting. It is also important to acknowledge the importance of educators in these settings. Educators are trained to scaffold children’s learning. They have the ability, experience and knowledge in planning and programming that allows them to enhance children’s development both on an individual and group level. 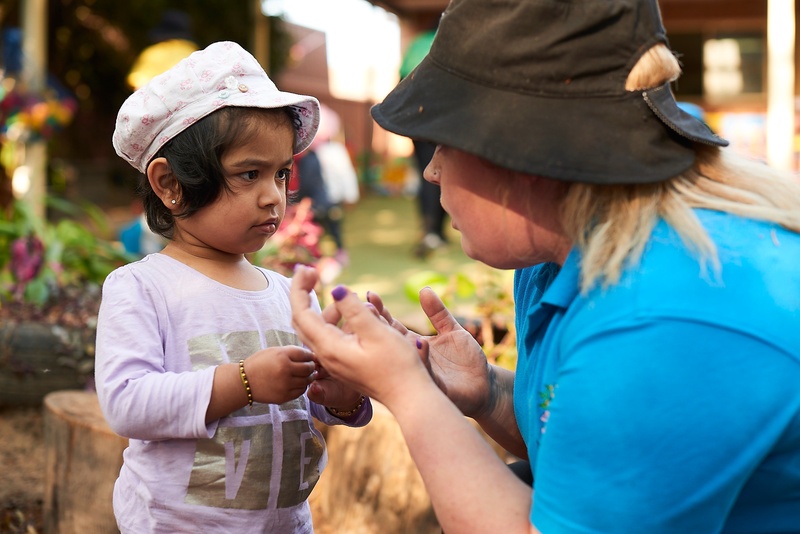 They can utilise planned and spontaneous encounters, acting as intentional teachers to make beautiful moments educational. Johnny is on a roll! After completing his puzzle, he ventures outdoors where he finds a trail of ants crawling along the floor. An educator sees Johnny bent over the ants. She brings over a magnifying glass. “There sure are, I wonder what the ants are doing,” she thinks out loud. “Umm, I think they are marching with their legs” Johnny replies. “Ooo I can see their legs as well. Do you know how many legs they have?” the educator asks. “I don’t know” Johnny replies. “How about we count them” the educators suggests. Johnny joins the educator in counting the legs on the ant “1, 2, 3, 4, 5, 6” they count together. In that experience alone, Johnny has developed various skills. In the cognitive domain, solved problems, practised mathematical numeracy (one-to-one correspondence), scientific enquiry (engaging, exploring and explaining) and more. ECEC settings have been shown to enhance children’s cognitive abilities positively but remember - quality matters. In fact, the majority of psychological literature indicates that ECEC quality coincides with marked differences in cognitive skills among children. So what can we as parents conclude from this? There is enough literature supporting childcare as the learning environment that enhances a child’s cognitive skills. In saying this, your child must be in a childcare centre of good quality to see these cognitive benefits. For more information on how to make this choice, have a look at our comprehensive guide on how to choose the right form of early learning for your child. Greenough, W., & Black, J. (1992). Induction of brain structure by experience: Substrates for cognitive development. Developmental behavioral neuroscience: The Minnesota Symposia on Child Psychology, 24, 155–200.